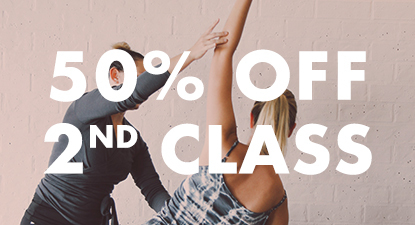 The Pilates Hundred is a fully equipped Pilates studio established in the heart of Milton, NSW. It is a fully air-conditioned studio, which features the finest professional grade classical and contemporary Pilates equipment. The studio has breath taking first floor views across the landscape of Milton out to the ocean at Mollymook. The Pilates Hundred offers personalised classes that are tailored, safe and effective that meet each individuals needs. Engaging in either Matwork classes or classes that utilise the Pilates equipment and small apparatus you will tone and challenge your body, strengthen core muscle groups, increase your flexibility and over all body efficiency. After years of teaching many incredible clients in Sydney I took the plunge to live out my dream of owning & running a studio on the South Coast of NSW. Life couldn’t be sweeter than moving to paradise to do what I love best; teaching people how to move better and more intelligently which makes their lives simply easier and happier. I teach for better physical functionality, to support your other active pursuits and to maintain mobility and strength in life for longer. I believe Pilates should not replace your current activities but it should compliment it as an underpinning strong foundational support. I have experienced and witnessed Pilates enrich general daily movement and vocation, rehabilitate old and recent injuries as well as advance athletic performance. 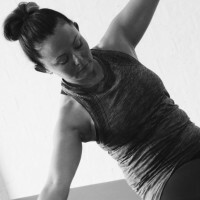 Completing my Pilates teacher training in 2008 with Pilates International Training Centre in Sydney, I am passionate about continuing to advance my education and learning of the Pilates Method in Australia and internationally, taking workshops and attending conferences with the industries leading experts in Pilates and body conditioning. I am a member of one of the industries leading governing bodies, the Pilates Alliance Australasia and I hold a Graduate Diploma in Education. I’ve had the great honour to work with a diverse range of clients from people with injuries and pathologies, professional athletes and sports enthusiasts, pre and postnatal mums, young people, older people, men and women. I enjoy seeing people find strength and freedom through their Pilates practice. In developing lessons I combine contemporary physiology knowledge with the true method of Joe Pilates in order to develop comprehensive, safe and result focussed programs.